City of Liberia put under quarantine resulting in 75,000 people being sealed into a densely-packed slum. 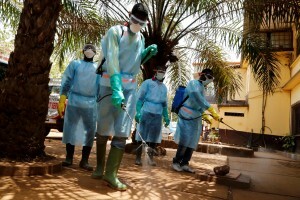 Ebola is still not under control in Sierra Leone according to a spokesman for Edmund Rice Development, Br Pious Conteh. He is Province Mission Officer for West Africa and he warned that the crisis is too big for any individual country to handle. He feels that the outbreak has exposed a weak healthcare system in Sierra Leone and West Africa generally. “Ebola as an emerging disease in Sierra Leone caught us off-guard. I cannot honestly criticise anybody or political party or government for the havoc the disease has caused because we never had any mechanism in place for such an invincible and merciless virus,” he explained. Although the civil conflict officially ended over a decade ago, Sierra Leone is still classified as a ‘fragile state’ he said. Edmund Rice Development in Ireland has appealed for funds and highlighted that the Brothers and Edmund Rice people in Sierra Leone and Liberia are trying to help people in extremely difficult circumstances. “In many of the communities curfews and restrictions have now been put in place in an attempt to limit the spread of the disease. The West Point district in Monrovia, the capital city of Liberia has been put under quarantine which means that approximately 75,000 people have been sealed into a densely-packed slum,” the charity stated, and there are many other areas in similar situations. 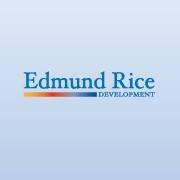 Edmund Rice Development has received the very sad news that two students who attend one of its schools, St Martin’s in Liberia, and their families, have been killed by Ebola. All schools have now been closed to limit contact between people. In Ireland, the Irish Minister for Development, Trade Promotion and North South Co-operation, Seán Sherlock TD, announced on Monday €600,000 in funding to support communities battling the Ebola outbreak in Sierra Leone and Liberia, the two countries which have been worst affected by the epidemic. As well as sending money, Ireland will also provide 42 tonnes of emergency supplies, including blankets, tents, mosquito nets and water tanks. Kimmage Development Studies Centre graduates Nora Bowier and Silas Siakor are now working in Liberia and have written an article for the New York Times also calling for an international response to the Ebola crisis in West Africa “before the entire region collapses into chaos”. They write that Liberia has been hardest hit by the epidemic and that most of its hospitals have either closed or are barely functioning. West African facilities are inadequate and overwhelmed and there is corruption and poor coordination among government agencies. As well as coping with Ebola itself, Liberia must also manage secondary crises that arise. For example, as medical facilities close due to fears of contamination, many people have become ill or have died from easily preventable and treatable diseases like malaria. Likewise because of the cessation of international flights to Liberia food and other essentials are scarce and prices are rising.